Social media is always in flux, and one of the biggest shifts right now is video. The development of improved mobile technology has enabled widespread video consumption - available always and at anytime. And although video content isn't new, it's certainly growing, and will to continue to expand in 2017 and beyond. Clearly, video is a stronghold that will likely thrive and grow for some time yet. A recent case study by Magnifyre revealed something noteworthy about the 360-degree video format - the average percentage of people who viewed a 360-degree video was 28.81% higher than for the same video in a non 360-degree format. The case study also showed that twice the number of viewers watched the 360-degree video to completion. Of course, not every video will be suitable for the 360-degree format. But one excellent use for 360 is product videos used by sales teams. A staggering 90% of users say product videos are helpful in the purchasing-decision process. For real estate or large equipment that can't conveniently be shown to a prospect, a 360-degree video is an effective way let someone feel like they're looking at the product "in person." According to a Think with Google report, 85% of adults ages 18-49 use multiple devices at the same time. It also reports that two thirds of YouTube users watch YouTube on a second screen while watching TV. This tendency to watch videos across several devices (including TV) will probably increase. What does all this mean for your 2017 video marketing plan? It means you shouldn't rely on one video platform if you want to reach your audience effectively. 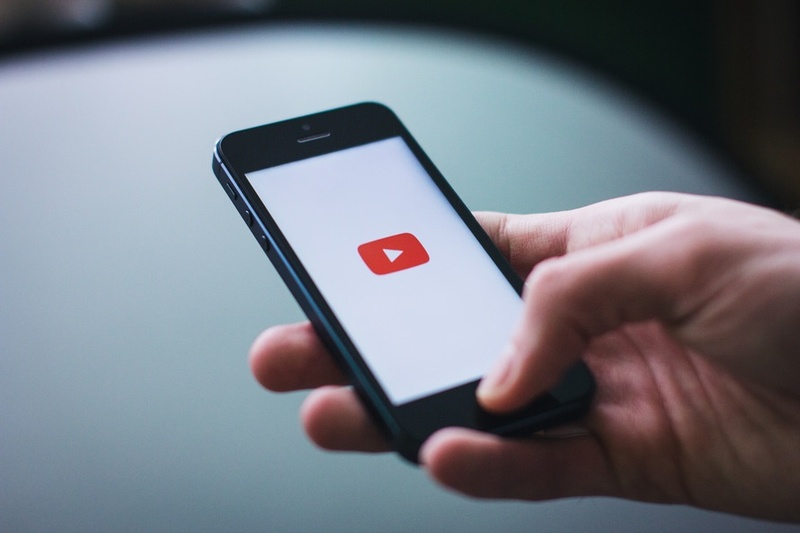 Once you post a video, distribute it on all social platforms your audience is likely to use. The Think with Google report also says half of 18 to 34-year-old YouTube users would drop what they're doing to watch a new video by their favorite creator. If you don't currently have a YouTube strategy planned for 2017, now is the time to create one. What's also noteworthy in the report is the passion among teens and Millennials who view YouTube - when asked which video sources they "couldn't live without," they listed YouTube as the top choice. Four in 10 Millennials said they only trust YouTube for videos about causes they care about, while 6 in 10 teen YouTube viewers reported that a YouTube creator has changed their lives or the way they see the world. Even more remarkable - teens reportedly watch 64% less TV than adults (age 35 and older) because they're making time for online video. Considering that Facebook recently paid media companies $50 million to produce live videos on its platform, it's clear that the popularity of live-streaming is growing. Are you ready to incorporate it into your marketing strategy? To break in to the live-streaming trend in 2017, one effective tactic is to show your audience what's "behind the curtain." Give them an exclusive peek into parts of your business that haven't been revealed yet. Examples might include showing a product being made in the factory, or maybe a tour of your offices and introductions of your staff. Also: Is your business planning to host events or conferences in 2017? Live-stream them. This will attract many from your audience who can't be at the conferences in person. Daily check-ins and updates also work well for live-streaming. Share today's new, useful tip that's related to your product or service. Examples: business tips, marketing tips and how-to's, and useful info like PhotoShop tips or other software shortcuts. And along with Facebook Live, Periscope will continue to be a major live-streaming platform in 2017, as will Snapchat. Speaking of Snapchat, this platform is growing in popularity - with ad revenue projected to reach almost $1 Billion in 2017. With the rise of Snapchat (as well as Instagram) it makes sense for many brands to alsoembrace "temporary" live video content. Most of today's content marketing comes in the form of blogging - videos and visuals that are collected in a permanent content library or knowledge base. As such, content that disappears soon after it's published feels "against the grain" of what marketers are used to. Although it may seem unnatural to see your marketing content evaporate into a digital purgatory, marketers need to remember that Snapchat is predicted to each 217 million daily active users by the end of 2017. Millennials will make up the largest share of that audience, so if your business wants to reach Millennials, you should definitely consider posting video content on Snapchat. Also, marketers should note that Snapchat users love the transparency of temporary videos. Because there's no editing or polishing, this type of content is perceived as both honest and engaging. Storytelling has always been a part of how we communicate, and 2017 will only see more and more of it. Telling stories through video is a highly-effective way to build excitement, nurture relationships, and motivate your audience. When done right, stories convey relatable information that evokes emotion and creates a memorable experience. For an excellent example of some of the most effective video storytelling anywhere, check in with Gary Vaynerchuck. Also, a truly effective way to create video storytelling is to produce video testimonials and customer case studies. For any brand or business that has yet to get serious about a video marketing strategy, time is of the essence. Chances are, some (or all) of your competition is already utilizing video in some way. To have a seat at the table and be deemed relevant to your audience, video content is no longer an option.